I was commissioned for a Concert Poster by the band Heevahava. I was provided all the concert details and told to do whatever I wanted. 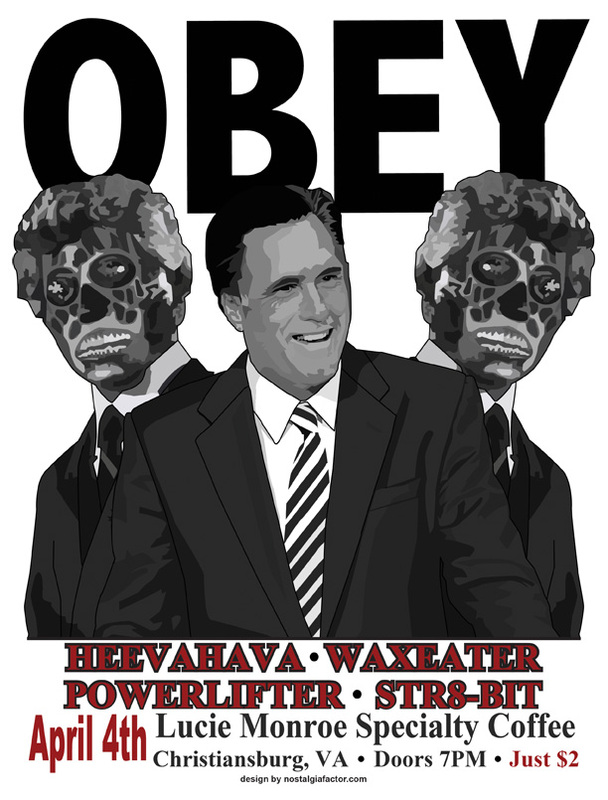 I decided to use the opportunity to pay homage to the 1988 John Carpenter classic “They Live”, and to take a poke at Republican Presidential hopeful Mitt Romney. You can check out Heevahava’s excellent music on their Facebook page.